Writers need agents -- but there are plenty of agents out there that nobody needs. Learn how to spot the scam artists, and find out what a legitimate agent does -- and does not do. 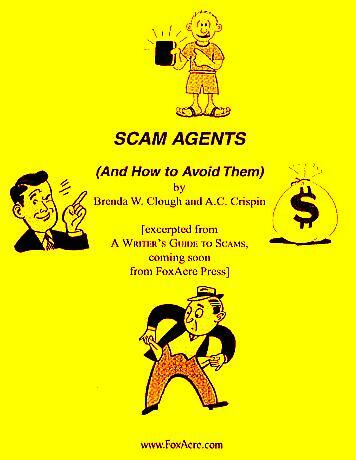 Brenda Clough and A.C. Crispin have spent years researching scams committed against writers. Profit from their experience, before some scam artist profits from your inexperience! The item with the most expensive shipping charges in a given order is counted as the first item.